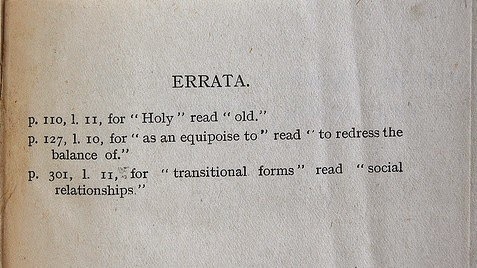 This is a space where you can leave comments describing errata in any of my published papers. Please include bibliographic details of the paper, and a link to where the paper appears on my web page if you can. Thank you to Dave Della Costa for volunteering the first entry and inspiring the creation of this post, and to all who utilise this space to record and correct my errors for posterity. Here one might define T σ τ = S_σ → X ×S^σ where S_σ is a store restricted to contain only locations in regions ρ such that read(ρ) or init(ρ) is in σ, and S^σ is a store restricted to contain only locations in regions ρ such that init(ρ) or write(ρ) is in σ.
S^σ (the returned store) is incorrectly defined, and doesn't in general form a monad (in the expected way). Think how you would define the return for this monad!.